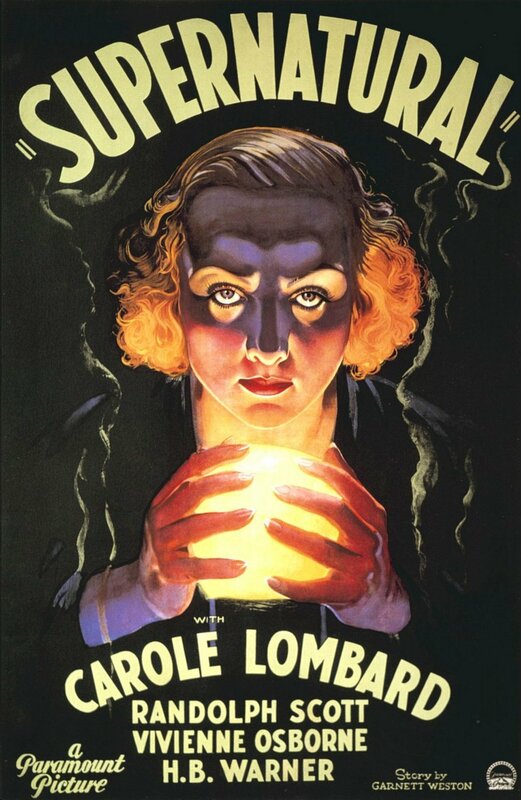 THE MOVIE: Supernatural starred Carole Lombard and Randolph Scott in a campy and hilariously bad story of possession. When serial murderess Ruth Rogen is executed her spirit winds up inhabiting the body of Lombard’s character Roma Courtney, a wealthy socialite. Now in charge of Roma’s body Rogen’s evil spirit seeks revenge on the criminal accomplice who betrayed her and also seeks to live high on the hog with her possessed victim’s money. 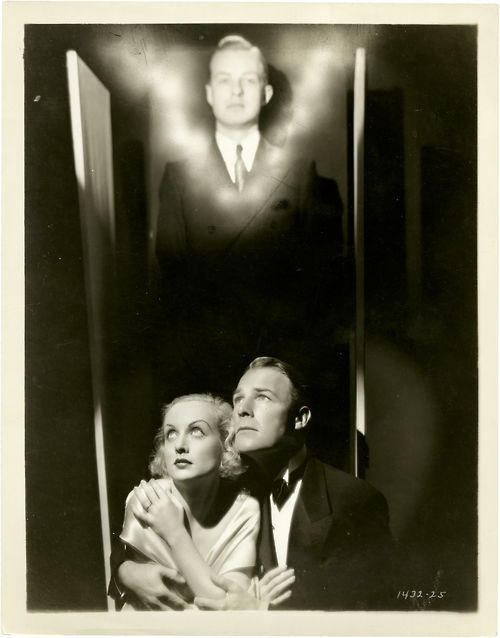 Lombard and Scott seek guidance from the spirit of Lombard’s late brother. 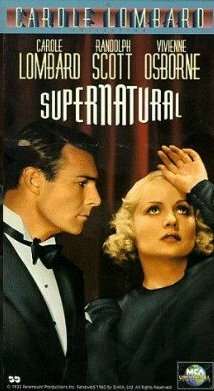 Just as Humphrey Bogart loathed his role as a zombified mad scientist in Return of Dr X Carole Lombard was said to despise getting stuck in this sappy supernatural flick. 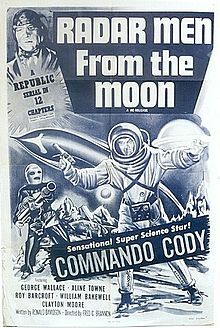 Randolph Scott plays his usual barely- animate slab of human flesh as Lombard’s romantic interest and the movie’s purported “hero”. H.B. Warner portrays an occult expert who suspected – against all rational thought – that Rogen would transfer her spirit to another body after her execution. He tries to prevent this but just makes the situation worse. Director Victor Halperin did a better job on White Zombie with Bela Lugosi but here he’s stuck working with the wrong cast for a horror film. Only Vivienne Osborne as the sociopathic female strangler Ruth Rogen seems to understand what kind of performance is needed in a flick like this. Lombard seems resentful to not have dialogue full of quips and witty rejoinders while Scott seems baffled by the lack of pistols and horses in the film. Ha! Not quite your show, though, Jo! Awesome! 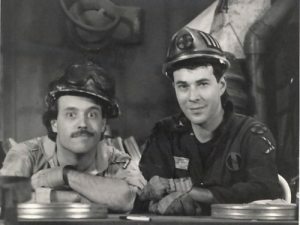 These guy came before Mystery Science Theater 3000! I thought Randy and Richard were wimps.